PayPal is the world’s largest online payment processor. Ownership by the eBay auction site means that PayPal is extremely liquid financially. The company charges fees as a payment processing go-between, and that is how they are profitable. With headquarters in Dublin, Ireland, Tel Aviv, Israel, Kleinmachnow in Germany, and Charlotte, North Carolina, Boston, Massachusetts, Scottsdale, Arizona, and Austin, Texas in the United States, the scope of this financial giant is global. PayPal even operates as a bank throughout the European Union. With 2012 revenue of $5.6 billion, the company boasts more than 150 million active, registered accounts in 203 markets. And now one of the most trusted online payment processors is about to enter the legal online gambling industry in the United States. The ability to legally bet online in the United States depends on where you live, and what you would like to gamble on. Also, the fragmented industry depends on individual states and several pieces of legislation for governance. The young online gambling industry in the United States currently includes just New Jersey, Nevada and Delaware. Residents in those states must be located there to enjoy online gambling options. And one of the biggest hurdles which has been limiting growth thus far has been the lack of the presence of a dependable and publicly accepted payment processor for depositing and withdrawing money. PayPal is ready to provide such a presence. The company already provides legal Internet gambling processing services in several foreign jurisdictions. And when it comes to finances, brand recognition and acceptance is extremely important. For Nevada poker players or New Jersey virtual casino fans, services like Neteller and Skrill offer nowhere near the instant acceptability factor which PayPal does. Also, PayPal currently is used by PokerStars, which was recently acquired by global gaming giant Amaya. That company provides even more respectability and brand recognition, and coupled with PayPal could immediately and positively affect the legal online poker betting industry in the United States. PokerStars has been pushing to reenter the NJ online poker marketplace, and the situation looks favorable at the moment. NJ Poker Online is a poker industry analyst in the Garden State. 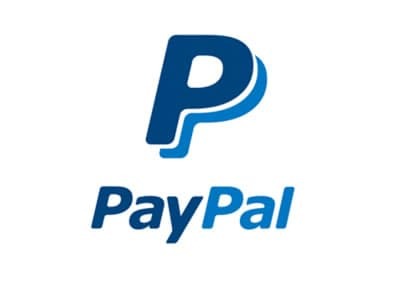 Steve Ruddock is a contributing author for that site, and agrees thatPayPal acting as a banking option in New Jersey would quickly give legitimacy to the online gambling picture across the US. Millions of Americans use PayPal as a traditional banking alternative. The company issues physical credit and debit cards, as well as virtual accounts, so you can handle all of your banking online without ever having to deal with a physical check or brick-and-mortar bank. The only thing keeping PayPal out of the legal online betting industry in the US are federal and state banking and gaming regulators. But there are several reasons to believe that company looks more attractive as an online payment processor than “normal” banking institutions. The Federal Wire Act of 1961 made it illegal for US-based companies to handle financial transactions which aid in the placement of an online wager. In 2011 the Department of Justice made it clear that this gambling law should not apply to “games of skill” such as fantasy sports and other wagers. And even though the Supreme Court has yet to rule on the actual meaning of the Wire Act as it relates to online gambling, banks and other financial institutions in the United States are reluctant to process online gambling deposits and withdrawals, even in states where online betting on poker and casino games has been legalized. But those timid companies were created as physical banks long before the Internet was a reality. PayPal’s entire existence is as a virtual payment processor. The company can show federal and state regulators years of experience in conducting billions of successful online transactions, and could be just the financial tool state and federal gaming regulators are looking for to help legitimize the industry.